The rapidly constant shifts in the stock market out novice traders under pressure. Three hundred points drop on the day, then two hundred points gain in the next, you will understand why new traders normally freeze in shock while watching the equity market rise and fall. Stock market is a place with swirling and unanticipated events that can significantly affect your money. Fortunately, these conditions can present ideal investment opportunities, which can be profitable if one applies the right strategy. The concept of inflation may sound negative to investors. When there is an upward trend, prices increase and the purchasing value of currencies fall. This is an indication that the government spends beyond its capacity, resulting in debts. Despite this, traders can take advantage of investment opportunities related to inflation. Companies in the stock market, like telecoms and commodities, can benefit from inflation. It is true that the stock market is more reliant on private companies than the public. But the government is dependent on the private sector to carry out some of its programs. Generally, the partnership works well. Investors can take advantage of reports indicating growth in the government. This boosts the shares of their partner firms, which gives support to stock prices. Probably one of the hottest sectors in the stock market today, technology shares has proven to be ideal investment opportunities for many. All sectors, including banks, manufacturing, data storage, and accounting, heavily rely on the use of technology. It has become the foundation of our social and business activities. The consistent high demand for technology has kept prices afloat in the stock market. Two of the most popular instruments in the stock market are Exchange Traded Funds and Contract for Differences. Accordingly, they are a great tool to speculate on the prices of commodities in the different exchanges around the world. Commodities are an indispensable part of our lives. As long as there is human consumption, the participation of commodities in the stock market will last. 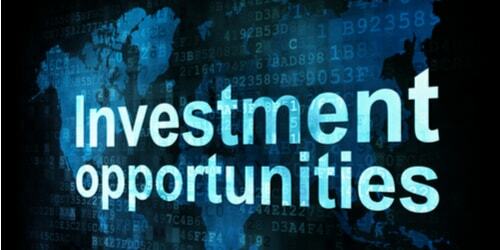 These are just a few of the investment opportunities in the stock market. As you continue to explore the market, many opportunities, as well as challenges, will be arise. Proper financial strategy will always remain crucial to optimizing your investment portfolio.